Wishing you Peace for Christmas with Stampin' Up! Star of Light Stamp Set and Thinlits Dies Bundle! 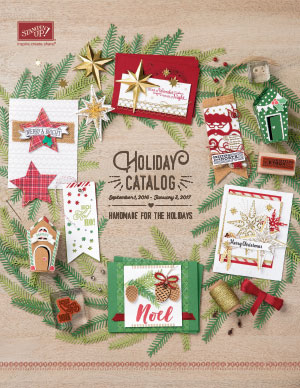 This weeks' DOstamperSTARS Challenge gives me the opportunity to show you my absolutely favorite 2016 Holiday Catalog stamp set and thinlits dies bundle, Star of Light #143508. Supplies needed for Christmas Star Card: Star of Light Stamp Set and Starlight Thinlits Dies Bundle #143508, Gold Glimmer Paper #133719, Whisper White Cardstock #124302, Night of Navy Classic Stampin' Pad #126970, Elegant Eggplant #126963, VersaMark Pad #102283, Gold Stampin' Glitter #133457, and Rhinestone Basic Jewels #119246. 1) Cut two Whisper White Cardstock 4 3/4 x 6 1/4, and two Gold Glimmer Paper 5 x 6 1/2. 2) Stamp background milky way, small stars, and sentiment in VersaMark Ink. Heat emboss with Clear Stampin' Emboss Powder #109130. Die cut large star and stamp with VersaMark #102283 and heat emboss with Gold Stampin' Emboss Powder #109129. 3) Stamp medium and small star in VersaMark #102283 and heat emboss with Gold Stampin' Emboss Powder #109129. Die cut stars with Starlight Thinlits Dies. 4) Now, have fun with color and watch as the stars appear! Start with sponging Elegant Eggplant #126963 around stars and milky way background. Then sponge Night of Navy #126970 start along edges and work your way to cover as desired. 5) (optional) Add Rhinestone Basic Jewels #119246 to center of stars. 6) Inside of card stamp sentiment in VersaMark Ink #102283 and heat emboss with Stampin' Glitter Gold #133457, and stamp small stars in Night of Navy #126970. Mat with Gold Glimmer Paper #133719. I hope you have enjoyed creating this Christmas Star card, send and enjoy!